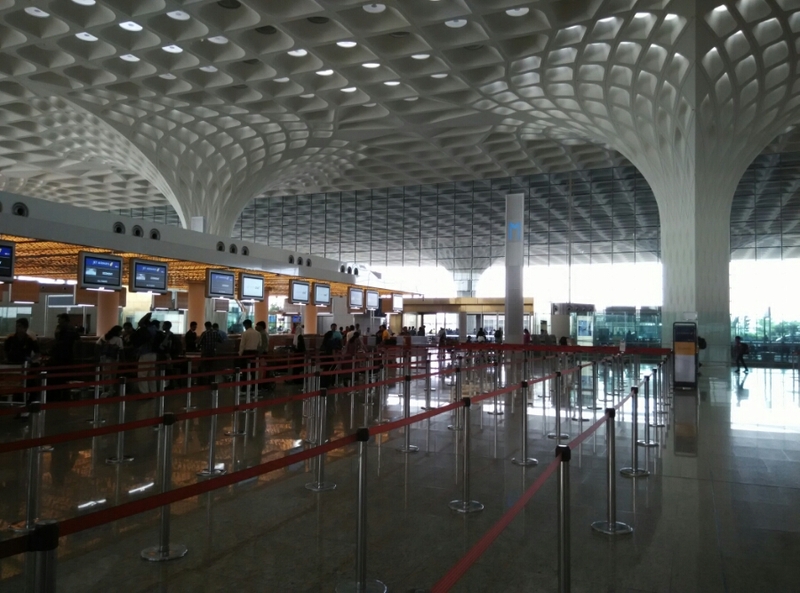 One always felt that a megacity like Mumbai deserves a world class airport. 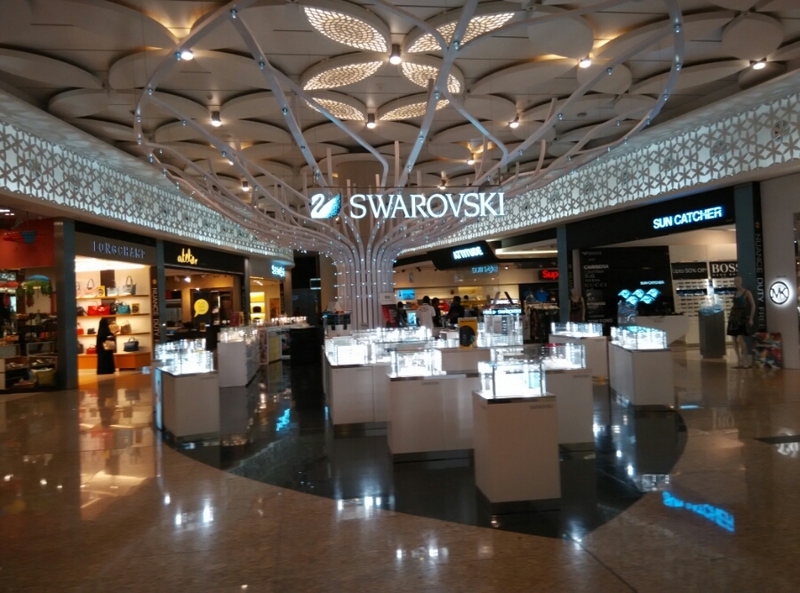 So when the new swanky T2 was launched with fanfare I was quite curious to experience this new terminal. I had a brief interaction with domestic operations from T2 and those short interactions increased my curiosity even more. 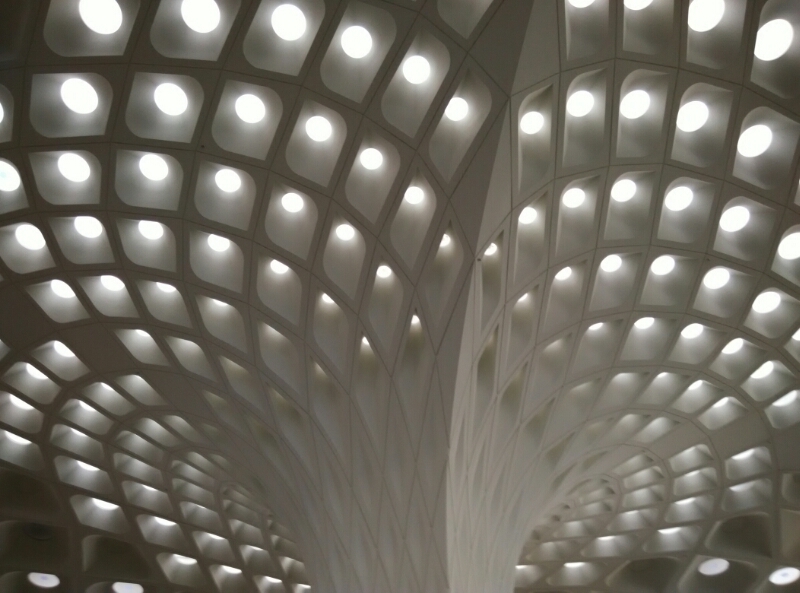 It is usually rare to see differentiated aesthetics in modern buildings. 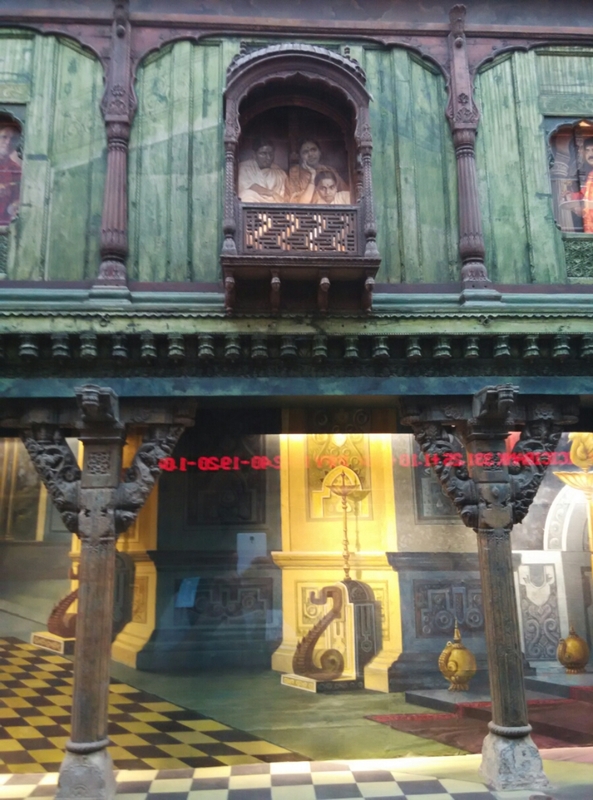 But this building is inspired by peacock motif; which I feel gives Indianness to overall design language. 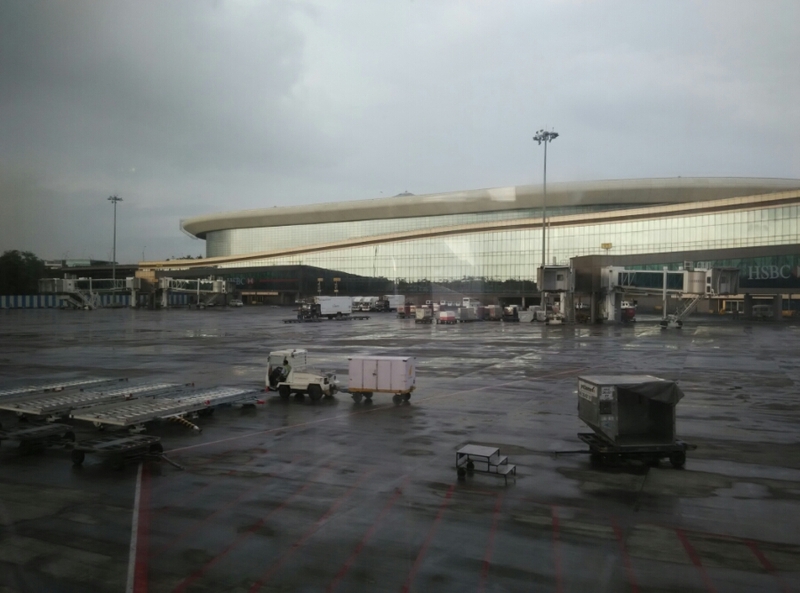 I remember seeing the most awarded Incheon airport in South Korea.. there was very little Korea in the design. 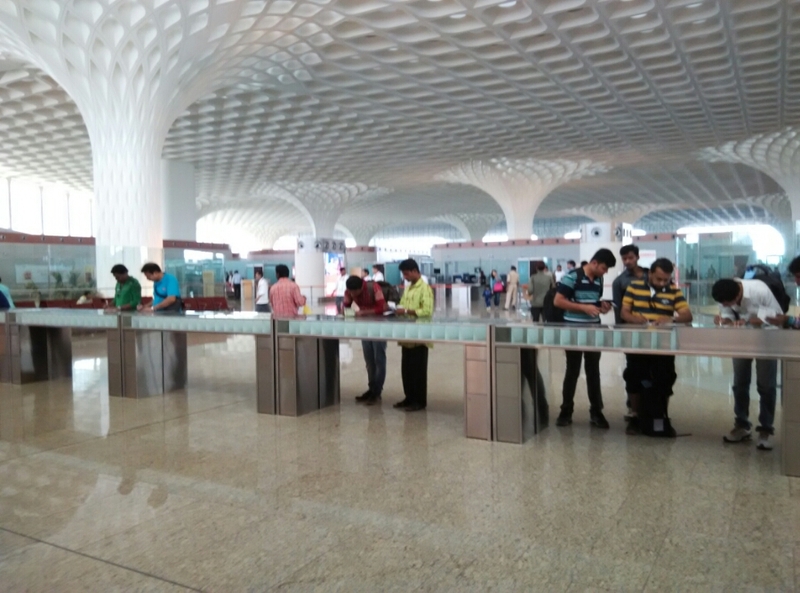 Large check-in area clears passengers very fast. Perhaps its capacity is put to test around midnight I guess. Adequate desks for people to fill immigration forms and well stocked forms both were recent additions. 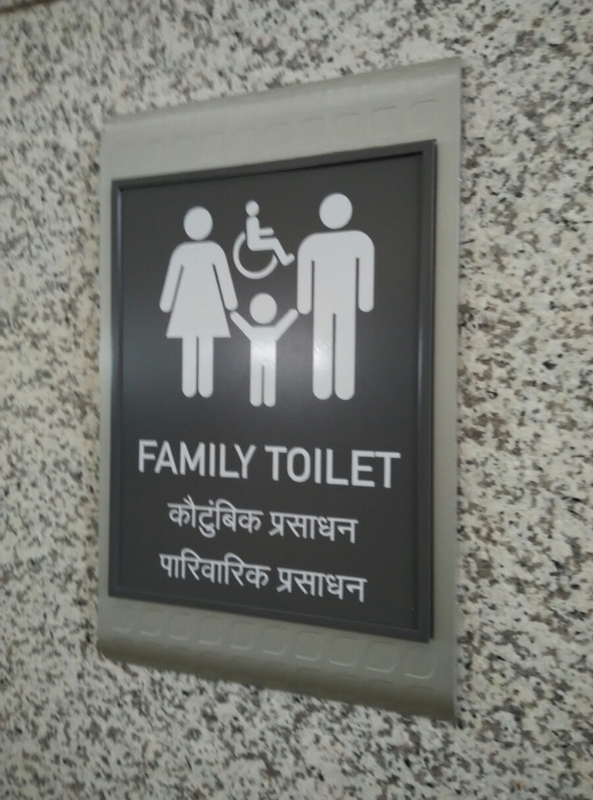 Having family toilets is extremely important for couples traveling with kids. 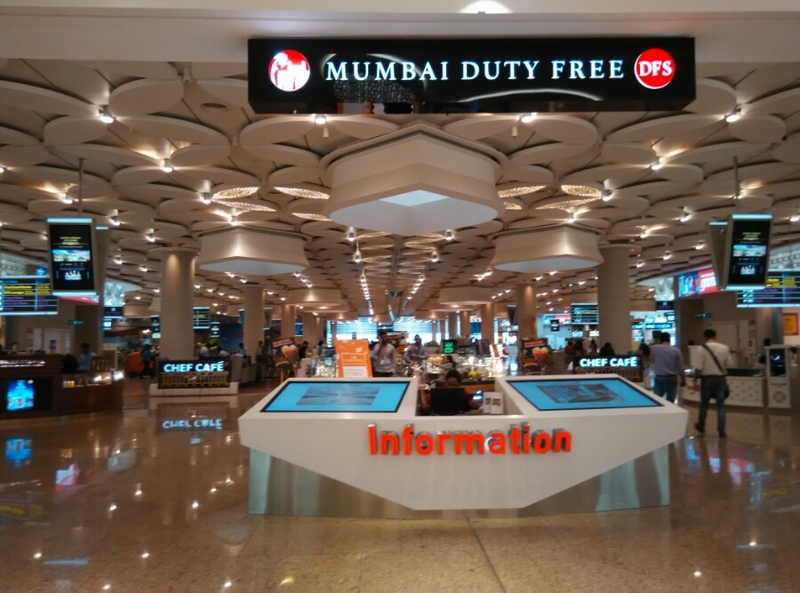 This is something we should have at train hubs bus stations and more. 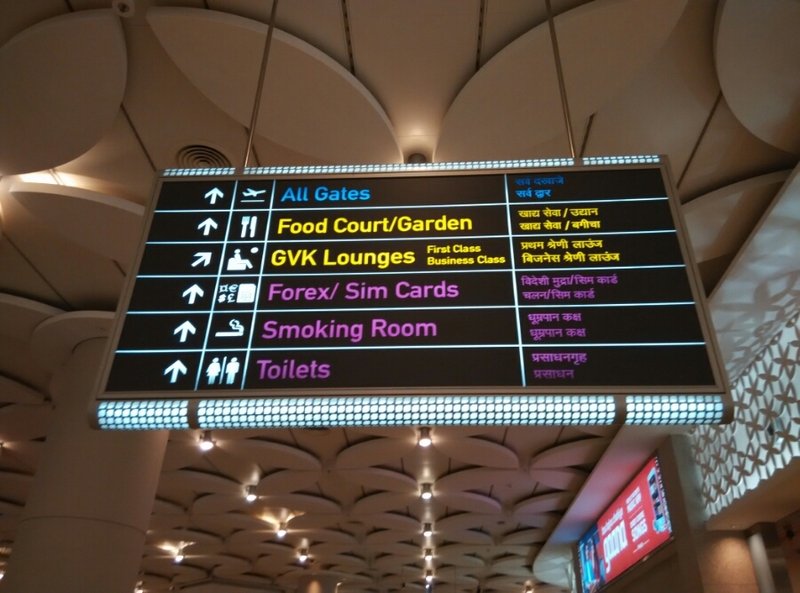 Signages are according to principles of visual ergonomics and placed as per passenger flow. However, I was quite surprised to see an old Devanagari on screen font like Mangal being used in spite of several new mono linear options designed for on screen usage. My favourite being Ek Multa designed by Dr. Girish Dalvi. The peacock design language elegantly transforms into large numerals. 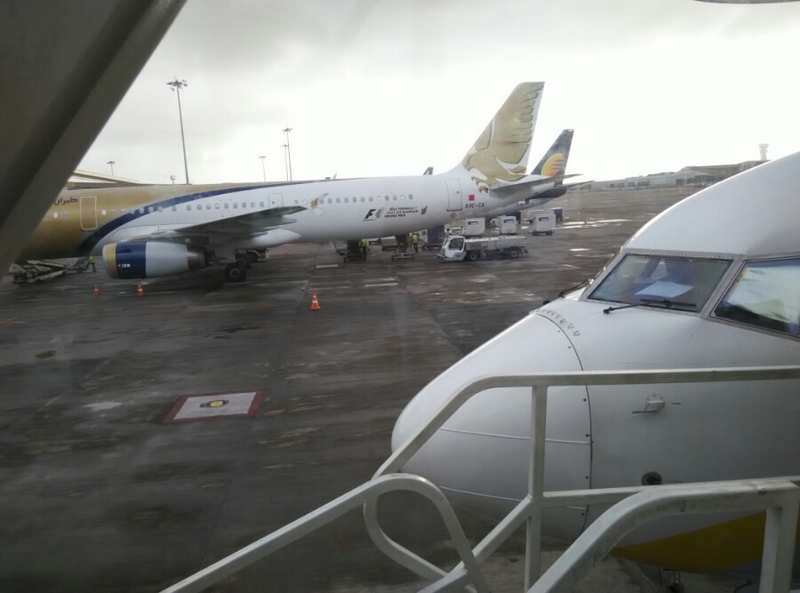 Airports reflect what a country stands for. They project how a country wants to be seen as. 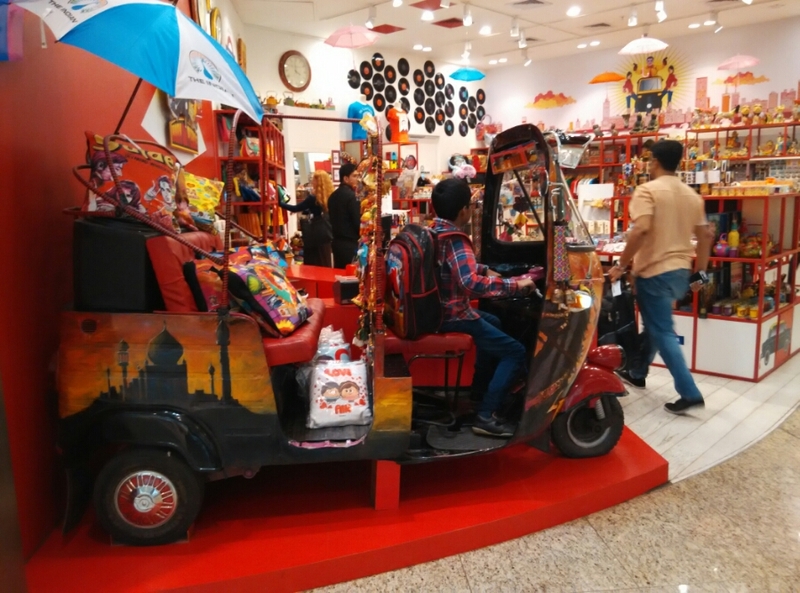 Photos in gaudily decorated auto rickshaw is a key ritual for foreign travellers. We can see artifacts that will become Indian identity and visual memory across drawing rooms in Europe USA Japan China etc. 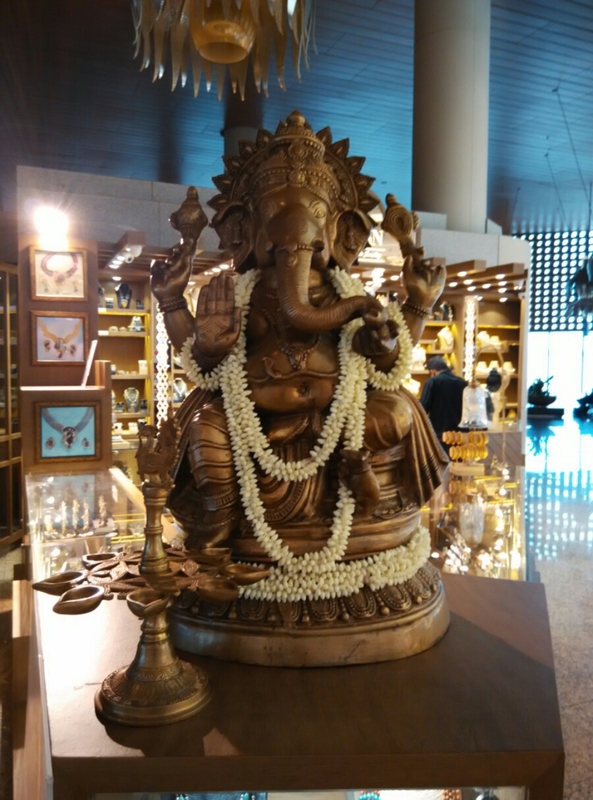 Premium tea bags, street food, ethnic clothing, Jewellery …ornate idols of various gods.. it is all there.. 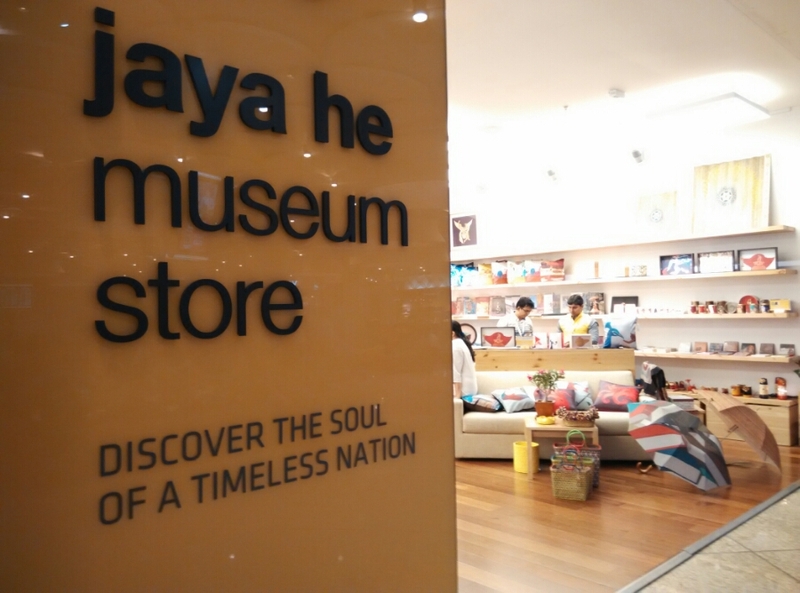 I saw the much spoken about art wall and Jaya He museum. 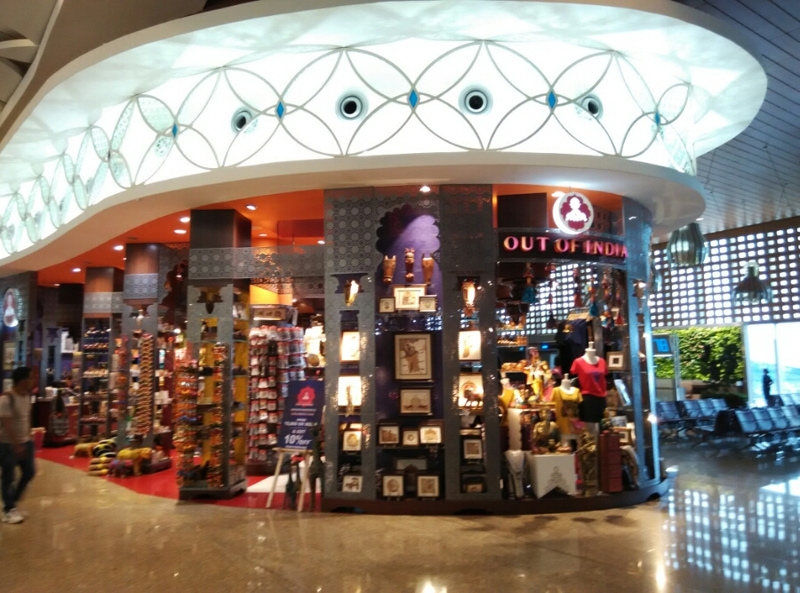 This is another feature that brings in Indianness into the airport. Beautifully made wall art that showcases Indian life from different regions of the country. 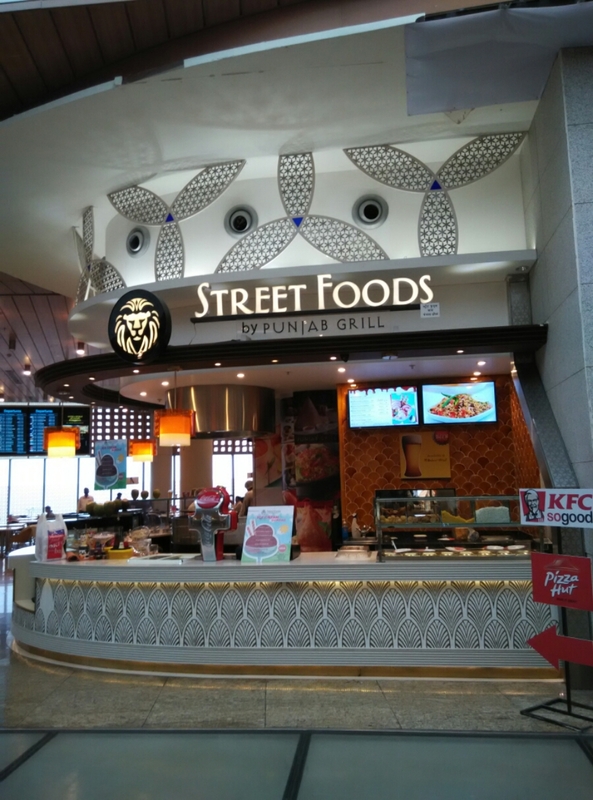 For those who love splurging at the duty free.. there are several options and if you are more of a foodie than shopping freak there are several quick bite joints. 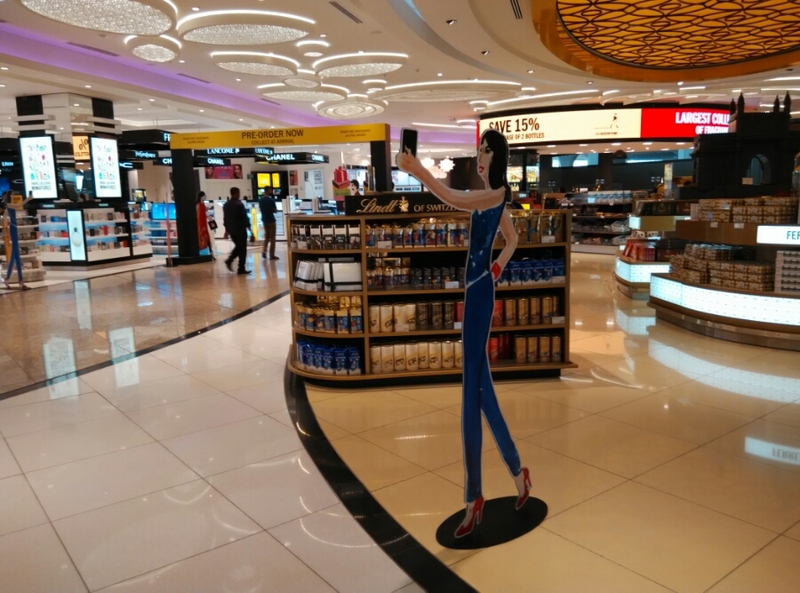 Peacock theme is integrated well into retail space as well. On downside many passenger services should be improved. Internet kept going down with errors and the speed wasnt impressive. Very few charging points at boarding gates is another issue that needs attention. The only forex shop operated by Akbar grp sells at such exorbitant rates that it is useless. Just like a mall I recently visited not a single book store… this is disappointing since books are a traveller’s companions. 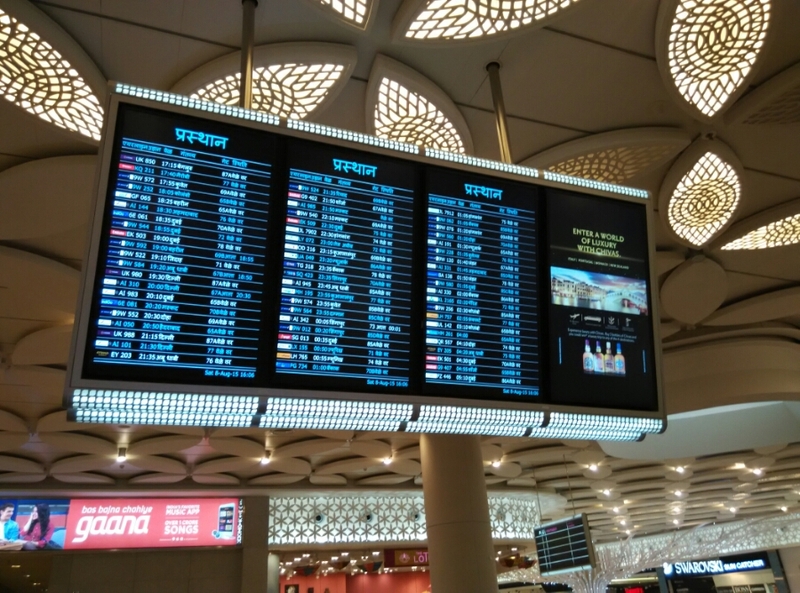 At the departure entry its impossible to read from distance and locate the gate your airline operates from. It would require bigger text and visual indicators like airline insignia. Mobile blogging is fun. 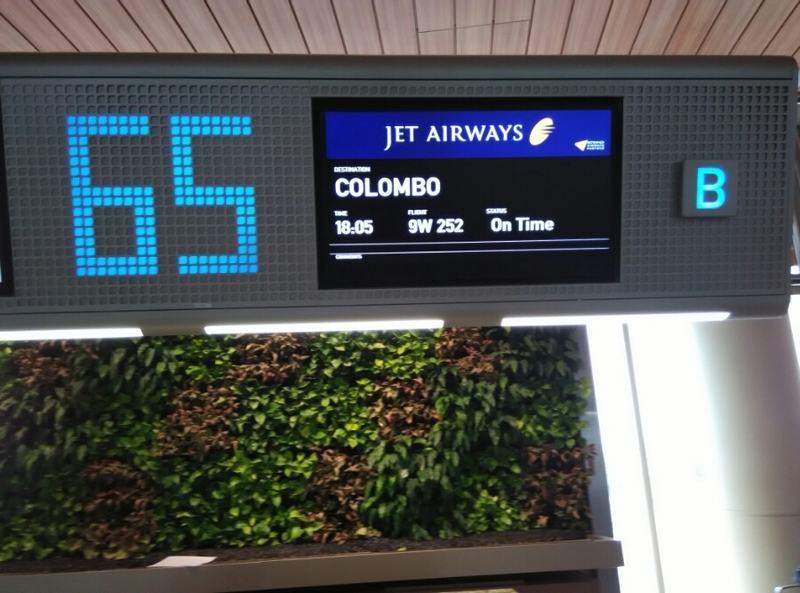 Now I must board my flight 9W 252 and head to Colombo. See you soon in Sri Lanka. Ayubowan.